The last time the hip-hop world heard of Aesop Rock was back in July 2012, when he released his sixth studio album called “Skelethon.” Ever since, he vanished from the mainstream, until Apr. 29 when he finally released his first album in four years, called “The Impossible Kid.” Rock’s long-awaited album is excellent to say the least. Rock made it a point to make his first album in nearly four years somewhat more personal than his other work. In nearly all of his songs, his lyrics appear to tell stories of his life at some point. In one of the songs in the album called “Lotta Years,” Aesop Rock raps about a conversation between two young workers and explains his feelings towards himself and today’s generation. Aesop implies that he has a feeling of mediocrity while looking at the younger generation and discovering how advanced they are in the world, despite the fact that Aesop Rock is a successful hip-hop artist himself. This can be seen through the lyrics “the future is amazing, I feel so f–king old” and “These kids are running wild, I’m still recovering from church”. The fact that Aesop dedicated “The Impossible Kid” to his personal feelings and thoughts makes this album really intense and absorbing. We can also see Aesop’s unique rapping ability at display once again in “The Impossible Kid.” Aesop Rock is commonly known for his unique ability to drop peculiar rhymes in his singles, and “The Impossible Kid” is no exception. 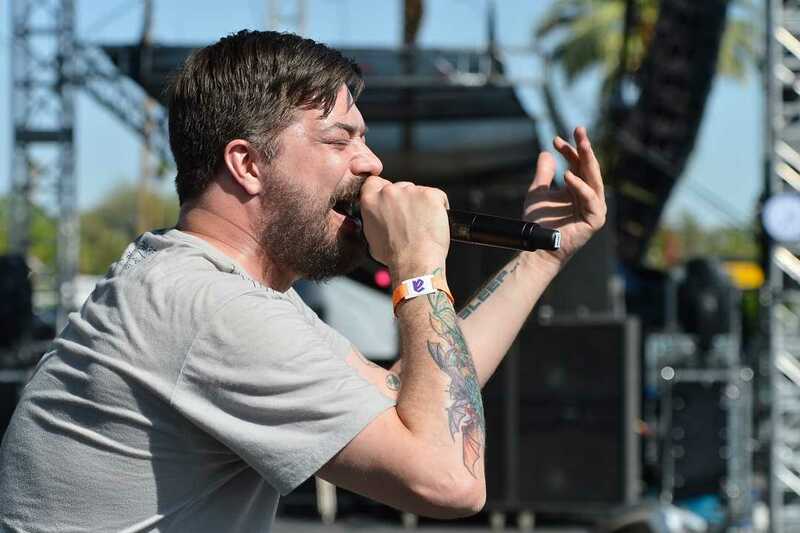 Unlike some rappers today, Rock is known for his complex, sometimes enigmatic lyrics, and after four years of waiting, we can see Aesop Rock performing his unique lyrics once again in the entirety of his album. Coupling Rock’s peculiar and personal lyrics is the unique musical theme used in many of the songs. Rock has a distinct electrical beat he uses in all of his songs, combining to make Rock the unique Indie Hip Hop artist which he is. For someone who has been too accustomed to mainstream hip hop, Rock’s instrumentals opened my eyes. It was truly a unique style of hip hop which I had never experienced before. Rock’s unique style put the icing on the cake for what was an excellent and long-awaited album. Overall, “The Impossible Kid” was an excellent release for not only Indie Hip-Hop fans, but also anyone who enjoys the many singles in the hip-hop genre. I certainly was impressed by the peculiarity of the album as a whole, and witnessing such a different genre of hip-hop in such a personified album was a delight to say the least. What are your thoughts on Aesop Rock’s latest album? Let us know in the comments below.